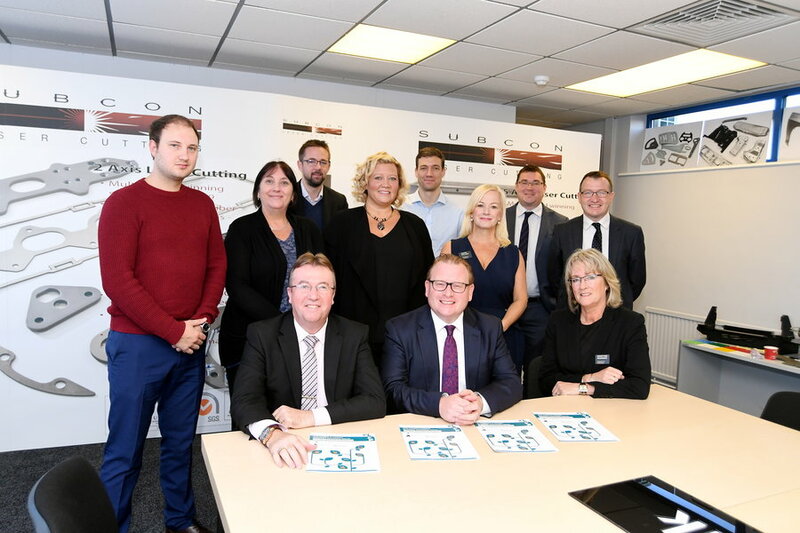 Last week we were pleased to host the Coventry and Warwickshire Chamber of Commerce’s North Branch meeting, to discuss the need for more land to be set aside for jobs in Nuneaton and Bedworth. Business leaders were joined by MP Marcus Jones to consider concerns that the area could see unemployment remain well above the regional average if land remains an issue. This is something that we can relate to here at Subcon as we are also struggling to find the space we need to meet the growing needs of our company. Currently unemployment in the borough stands at 5.5% compared to 2.8% across Warwickshire. The Chamber responded to the Borough Plan for the area by suggesting that there needs to be more space for businesses to grow and is calling on companies that are having difficulties expanding to reach out. Our general manager, Tom Mongan – who chaired the meeting added: “We are maxed out at the moment and we have a vision for growth as a business, but this issue is making it very difficult to put that into place. The Chamber has been campaigning on this issue since its Go For Growth campaign showed a lack of employment space as a key factor to growth across the region. The Chamber is offering to support those companies that want to grow in the area but are being faced with challenges. For more information, please email martynem@cw-chamber.co.uk or call 024 7665 4321.